Historic Chance to Protect our Oceans! "My name is Rianti and I have been a diver for over 20 years, and in that time I've organised over 50 clean up dives. Litter is everywhere, and it's killing our oceans. 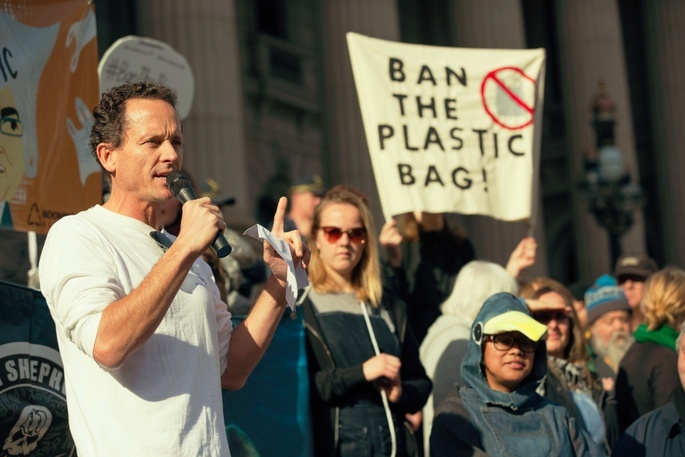 Recently I teamed up with the Boomerang Alliance for a final stand against plastic bags! Firstly, I would like to say a big THANK YOU to everyone who donated! After the crowdfunding with Chuffed.org ended, we used some of the funds to launch a campaign where we sent an SMS blast to over 5000 Boomerang Alliance supporters asking them to call the Premiers of NSW, VIC and WA to 'ban the bag'. The campaign was intended to increase pressure before the Environment Ministers meeting on 28 July 2017. We also asked our supporters to contact the premier and ministers directly and ask them to ban the bag. This July, we’ve been busy visiting key Electorate Offices asking NSW MPs to help increase the pressure to #BanTheBag on NSW Premier, Gladys Berejiklian & NSW Environment Minister, Gabrielle Upton. The response has been positive with state member for Ryde, Victor Dominello stating plastic bags as “a scourge on the environment”. We are happy to report that Victorian Environment Minister Lily D’Ambrosio announced before the Environment Ministers meeting that Victoria might consider a ban on light-weight plastic bag and while a national ban is the most effective way to address the issue, she has not ruled out Victoria doing it alone. WA Minister for Environment, Stephen Dawson has also said that he is supportive of the move by various local governments to ban single use plastic bags and have asked DER to investigate the possibility of a state-wide ban. NSW is currently the only state who still resists the ban. Premier Berejiklian made it clear a week before the meeting that she doesn’t support a plastic bag ban. In response to this, the Boomerang Alliance team decided to sneak into the annual NSW State of the State Conference where Premier Berejiklian was the key note speaker. We used that opportunity to covertly place campaign material calling for a ban on plastic bags on each table and deployed a banner in front of the 650 high profile guests and the Premier herself. Due to the intransigence of NSW, the meeting of environment ministers on the 28 July failed to agree on national coverage of plastic bag bans. We still have a lot of work to be done but we will never give up the fight!" For more check out their awesome campaign page below, which raised a whopping $25,923 for our oceans!